As is known pressure springs are intended for energy storage by tightening, power obtainment or resistance against power for pressure. 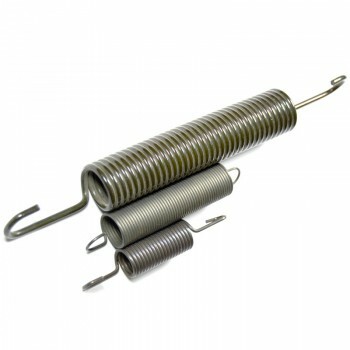 The most commonly used pressure spring type in industry is the spring from round wire, wrapped as closed ends, with parallel two sides. We may also produce conical, barrel or hour glass types compression springs to solve the blockage problem, decrease the block length and excessive vibration or obtain the specifications of nonlinear power.